A traditional country look is always popular, particularly in kitchens and living rooms. Choose neutrals with a yellow undertone like Farrow & Ball’s ‘White Tie’, ‘Matchstick’ or ‘String’ to create a very pretty feel. 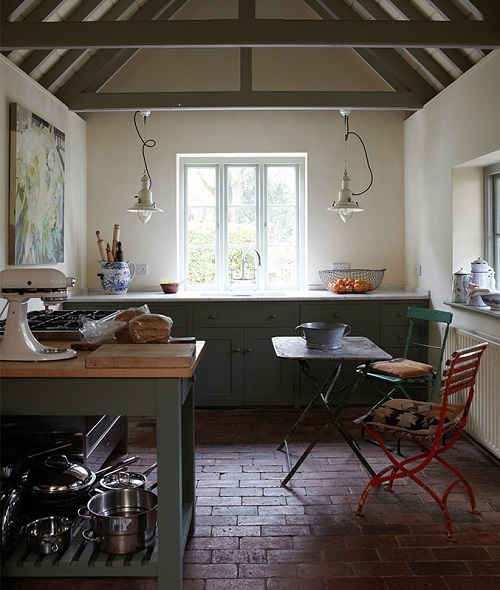 Colours like ‘Cooking Apple Green’, ‘Cook’s Blue’ and ‘Rectory Red’ all work as accents to a country scheme, particularly when painting kitchen cupboards.